How long does it take to make an impact on a potential investor? Several days, perhaps? Or several hours? Or a few minutes? 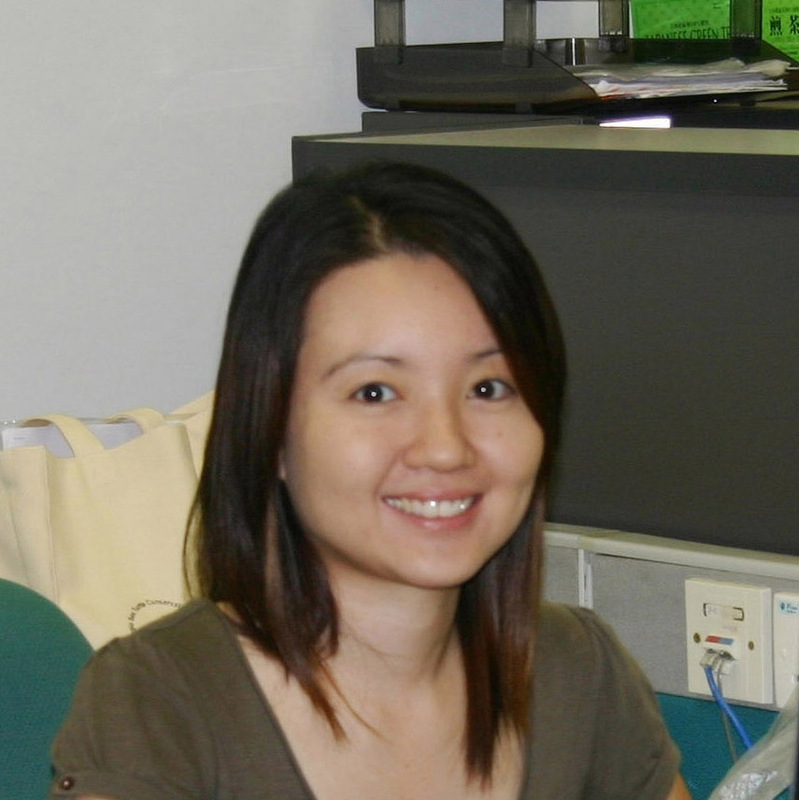 Florine Lim will tell you that The WorldFish Center can get the job done in just 90 seconds. According to Florine, two WorldFish storymercials shown during the recent Share Fair in Rome, Italy, have been causing quite a stir. These short videos of 90 seconds, which were co-sponsored by the ICT-KM Program and feature the Center’s work on fish farming in Malawi and the rehabilitation of communities following disasters in Aceh, Indonesia, have been enthusiastically received by investors, both current and potential, and have attracted much media interest since their release last year. Florine, an Office Manager at WorldFish, Penang, talked enthusiastically during her interview about the interest generated by the videos. Click here for a more detailed report on the storymercials. While at the Fair, Florine also had an opportunity to sit in on a few of the other sessions. “I found facilitator Nancy White’s session on Low Bandwidth Solutions for Communications to be quite enlightening. She shared tool kits and a link that can be used for lower-cost calls. We also talked about Skype and other Internet communication tools: their pros and cons. Florine also attended a session on Google Apps facilitated by the ICT-KM Program’s Antonella Pastore. “The response to this session was overwhelming,” she said. “I learnt about online collaboration tools and services like Gmail, Calendar, etc. At WorldFish, we’d already been using Google Documents, a tool that our scientists use when they want to share files online, so it was good to learn about some of the other applications. Like many Share Fair participants, Florine was also impressed by the eagerness of everyone to share their experiences. Upon her return to Penang, Florine immediately began making plans to share her experiences and the knowledge she had gained at the Fair with her colleagues and other members of staff. During one of the Center’s weekly ‘Food for Thought’ meetings, a session entitled ‘Speed Dating for Knowledge’ used the speed dating methodology highlighted during the Fair. Staff were also given an opportunity give Florine some insights into the sort of knowledge sharing tools they would like to use in the future, while colleague Silvia Renn showed some other knowledge sharing approaches picked up at the Fair. Although the Food for Thought session lasted a little longer than 90 seconds, you can’t help but be blown away by Florine’s determination to share. Show me the impact: Are we ready for “Outcome Contracting”? I found the principles and ideas presented in that paper still extremely relevant if I look at the current reform efforts of the CGIAR and Agriculture Research in general, at the AAA framework that we are advocating, and our work on Public International Goods. So here is the paper again – good food for thought. Let’s look at what it is all about: Scientific research has historically been assessed by the level of citations a publication or researcher has – the more the better being the mantra. The reasoning being that the “credible” researcher (or significant work) would automatically lead to citations or popularity: the more “credible” leading to more citations. Problems with this model are quite obvious, as it leads to a “publish or perish” mentality and encourages “popular” or trendy research. In addition, frequently cited publications are, at times, cited for their controversial nature, and not necessarily for their significance or impact in terms of research. But what does that mean for agricultural research? I am not arguing peer-review processes are to be discarded. They are important to ensure the scientific excellence of our work. But my argument: they are not sufficient. The final product of agricultural research should, at the end of the day, have a measurable positive impact on the lives of the poor. If that is taken as a given, then we must reconsider our current evaluation models for agricultural scientific research. Various other strategies have been considered to address some of the shortcomings of the “publish or perish” model. However, most of these strategies aim to include the end-users either in the developing of the project or in training at the tail end of the project. Is this enough? Is there not a better way to measure impact? How can we better link outputs to results? What about accountability? The basis of the proposed “Outcome Contracting” model is accountability, both in terms of project design and funding. If the primary goal of our work and research is poverty reduction, should we not be held accountable for it? In the new model, researchers, along with the end users, partners etc, identify the impact pathway of any particular project, and decide up to which point the project can be held responsible. Accountability is established and funding, or partial funding, is awarded upon achieving the intended goal. Can such an inclusive model be adopted in our new environment? How would that affect our current approach to research? And the funding? Last week I participated in a workshop on “Data for decision making” hosted by the Bill&Melinda Gates Foundation where I was quite inspired by how the funder was showing direct interest in understanding the factors that affect a project, and work together to find ways to mitigate any negative impact. Real interest was shown on the “impact” rather than just the “outputs”. More on that in a later post. More work on this new inclusive model to reserach has been carried out by our Knowledge Sharing in Research Project. The Triple-A Framework developed by ICT-KM seeks to assist CGIAR Centers/ Programs and their scientists decide on the level of availability and accessibility they want for their research outputs, and also the pathways to get there. For that to happen, ICT-KM is benchmarking the outputs of selected Centers against measures of availability and accessibility. The Centers that have been quick to sign up for this opportunity are: Bioversity, CIAT, CIP, CIMMYT, ICARDA, ICRAF, WorldFish and the Challenge Program for Water and Food. Based on the current status of Availability, Accessibility and Applicability (AAA) of their research outputs, Centers will be better able to devise pathways to turn these outputs into International Public Goods. ICT-KM will be on hand to help Centers identify their aims within the next 12 months following the benchmarking and also help them identify pathways to implement the AAA roadmap. A draft workplan has been set and we’ve begun assessing the availability of research outputs from the WorldFish Center. What will it reveal?